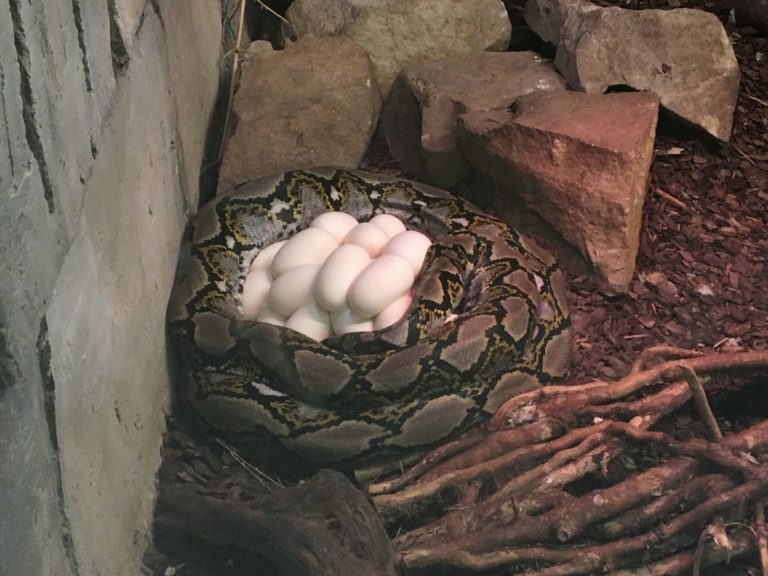 Visitors to Crocodiles of the World were in for an eggciting surprise recently when they witnessed our stunning reticulated python laying eggs. Reticulated pythons are one of the world’s longest snakes, with our rectic measuring 4.5m. She laid around 30 eggs, which collectively weighed 7.8kg which is around 30% of her bodyweight. The eggs, which stick together in one large mass, measured 100mm in length and 62mm in width. 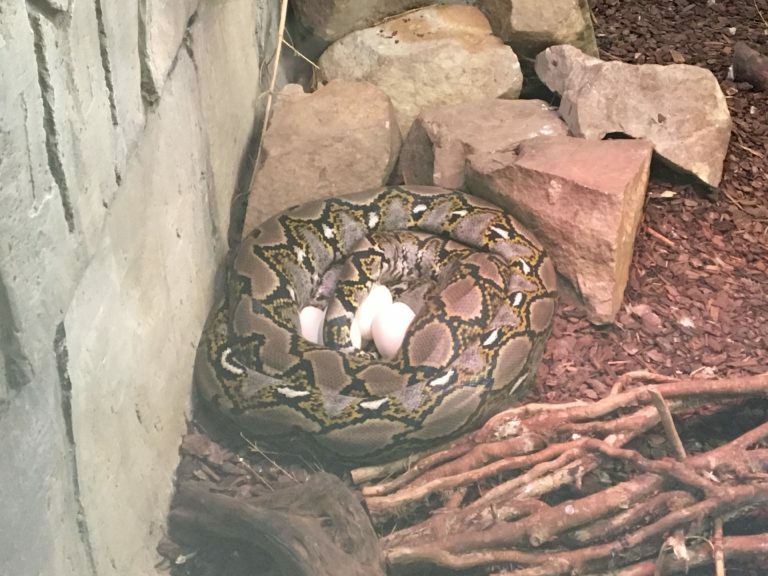 This particular snake has been with Shaun Foggett since she was only a year old, thankfully making retrieving the eggs fairly straightforward!